Here's how retail innovations boost offline retailers' ROI - Invento Robotics: Robots for customer engagement. In the last couple of years, with the advancement in the AI and ML areas, offline retailers have received an unlikely weapon to ward off the threat of dwindling sales which lommed over them because of their online counterparts who showered heavy offers on their buyers. Retail tech is the new buzzword among these retailers and they seem to be having all the promise to become a very important part of retailers’ operation with regards to enhancing customer experience, increasing ROI per sq.ft., and measuring valuable cutomer imsights. Footfall measurement, shelf management, interconnected signages, interactive ways to engage shoppers and distribution of cutomised coupons based on buyer’s history are some of the major innovationative ideas that are taking over the retail space and helping retailers improve in-store experience. Retilers are ready to happily set aside budget to allow such technology become a part of the operations. 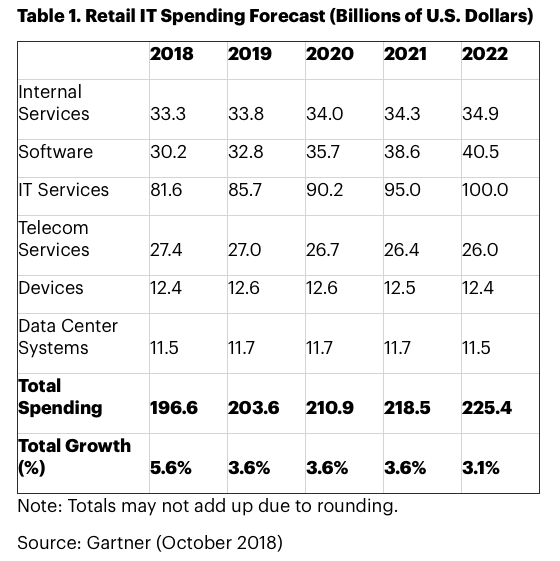 According a report by Gartner, retail tech spending is expected to be at an estimated USD 203.6 billion in 2019 world wide. The need and awareness has grown so much that none of the major retailer disagreed to the fact that implementation of retail was the way forward.